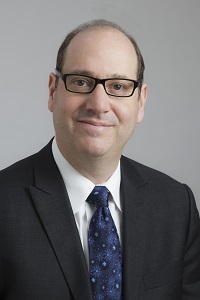 Harold L. Grodberg is the principal attorney of The Grodberg Law Firm, LLC. Harold has been practicing Elder Law, Estate Planning, and Estate Administration for over 20 years. He is a Certified Elder Law Attorney by the ABA accredited National Elder Law Foundation and an Accredited Attorney by the Department of Veterans Affairs. Click here for more information on why you need a Certified Elder Law Attorney. Harold regularly lectures on such topics as Preserving Family Wealth, Estate Planning, and Elder Law Planning. He is the author of numerous articles appearing in the New Jersey Law Journal, including Saving the Family Home, Hospital Patient Rights and Understanding Special Needs Trusts. He also co-authored the book In New Jersey A Will is Not Enough. Harold is a named New Jersey Elder Law Super Lawyer for 2011 by Thompson Reuters after peer review.1 He also makes home and hospital visits. 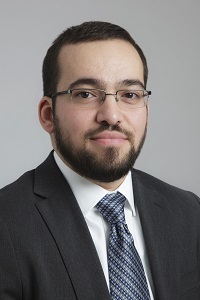 João Amaral graduated from the Rutgers School of Law-Newark in 2013. While at Rutgers, João was a Clinical Law Student in the Special Education Clinic, now the Education and Health Law Clinic, where he represented parents and caregivers seeking to obtain an appropriate education for their children with disabilities. He also volunteered at the Newark Legal Advice and Resource Clinic for Consumers and The Honorable Morris Stern Bankruptcy Pro Bono Project. He joined The Grodberg Law Firm in 2014, where he handles Estate Administration matters.